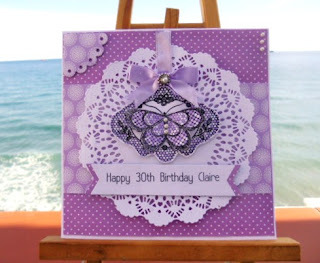 Another gorgeous card, in my favourite colour Purple too, LOL. I think you are definitely onto a winner here. Purple and butterflies .. .. what more could you want. This is very pretty! Love the color! Thanks so much for playing along with us over on the Simon Says Stamp Challenge Blog! Great card, I love the colour.